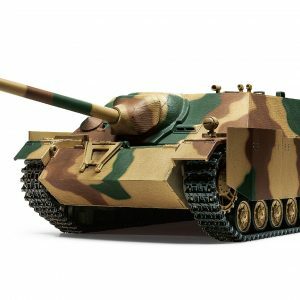 The Tamiya Russian Heavy Tank JS-2 R/C Tank is the latest addition to this series of radio controlled tanks from Tamiya. 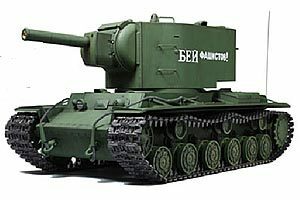 The Russian Heavy Tank JS-2 was developed to overthrow the German Tiger I. 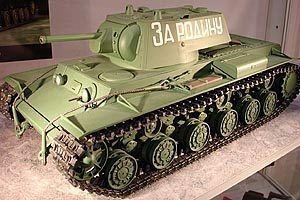 The JS-2 was put into production in the latter half of WWII in December 1943 and had superior mobility. 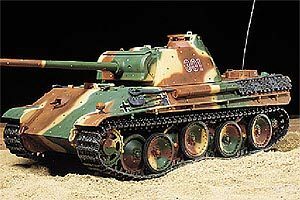 From August 1944, modifications, including the removal of the hatch from the frontal armor, were carried out to achieve greater defensive ability. 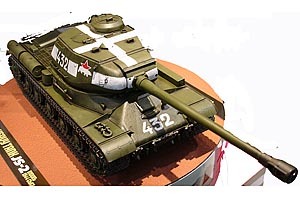 The JS-2 produced in the Chelyabinsk Kirov factory (ChKZ) had a distinctive one-piece cast rounded front section. 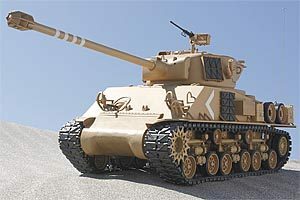 The JS-2 showed great strength in the frontlines. 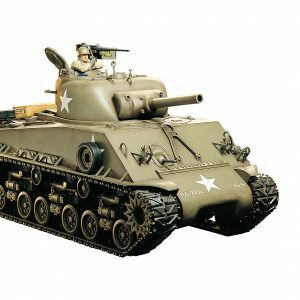 The Tamiya 1/16 scale radio control replica faithfully reproduces all the intricate details and functions of the full size subject with the use of its various control systems to simulate recorded sounds and turret movements. 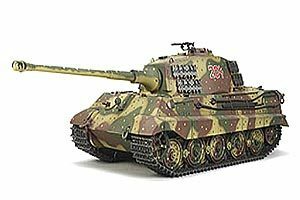 Whether you are building the JS-2 as a large static model or combat games with your friends the JS-2 will compliment anyone’s collection of Tamiya’s 1/16 R/C tanks. 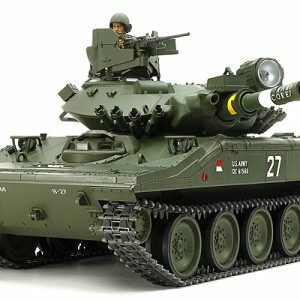 Kit includes DMD Control Unit (T-08) and DMD Multi-Function Unit (MF-07) to enable turret rotation, elevation/depression, and realistic sound and vibration actions at your fingertips. 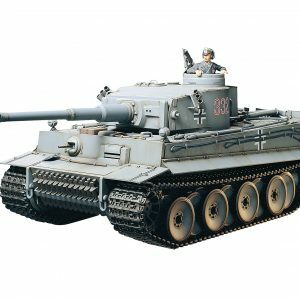 Metal parts included such as the lower hull, suspension arms, and drive sprockets, which ensure durability. Aluminum barrel included. 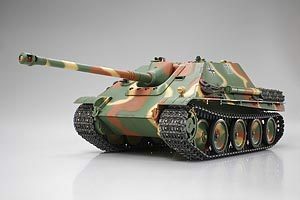 The barrel features recoil effects. 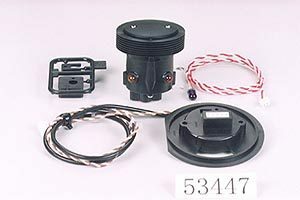 Pre-assembled gearboxes with type 380 motors provide ample power. Requires stick-type 4-channel transmitter with self-neutral function, 7.2 Volt battery pack & charger, and AA batteries for transmitter. 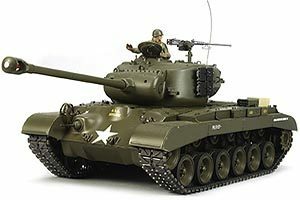 Install separately available System (Item 53447) to enjoy 1 on 1 or team tank games with other Tamiya 1/16 R/C tanks.